CAPE CORAL, Fla. — Principle Thomas Michel of Mariner High School in the Cape released a statement today regarding a school threat. 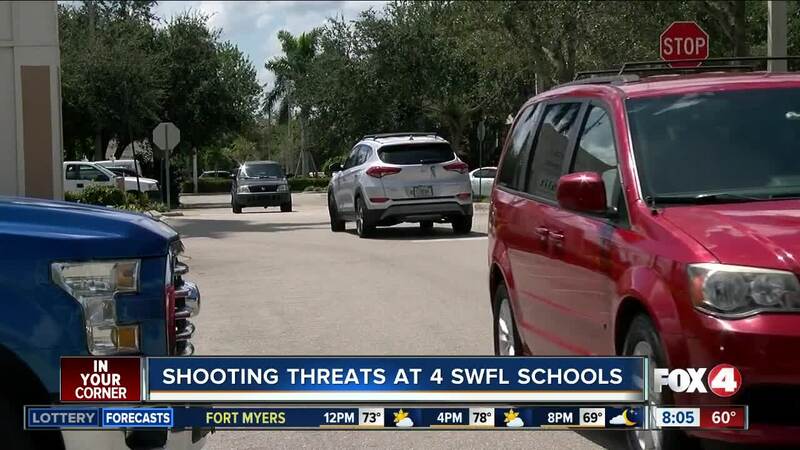 The written threat was found in the school's bathroom, and Cape Coral Police are aggressively investigating the incident. They say they do not believe the threat is credible, however, they are continuing to investigate. Triton Families, this is Principal Thomas Michel. This administration, along with the Cape Coral Police Department, are aggressively investigating. While we do not believe the threat is credible, this is still an active investigation. We do not tolerate threats like this at Mariner and will do everything in our power to track down the person who wrote this. I will update you as we continue to get information. Count on us to keep you updated as we gather more information. This comes just hours after Lee County Sheriff announced the arrest of a student who wrote a threat on a restroom toilet seat at North Fort Myers High School last week.